Sky will drop RTÉ from its platform if the Irish Government does not continue to oblige the public service broadcaster to offer its channels to pay-TV companies for free. Sky, which is 39 per cent-owned by Rupert Murdoch’s 21st Century Fox, told the Oireachtas communications committee on Tuesday that there “could only be losers” were Ireland’s public service broadcaster permitted to seek payment from platforms for its channels. “Sky would not pay RTÉ for its channels should RTÉ not be obliged to provide them for free,” said David Wheeldon, Sky’s London-based group director of policy and public affairs. Sky is the largest pay-TV operator in Ireland, with estimated television customers of more than 600,000. It is currently subject to a full ownership bid from 21st Century Fox. The committee also heard from representatives of Virgin Media, Eir and Vodafone, which are all firmly against a proposed change to the Broadcasting Act that would allow RTÉ to seek charges known as retransmission fees from pay-TV platforms. Fianna Fáil communications spokesman Timmy Dooley, who said he was in favour of giving RTÉ the legal ability to negotiate, objected to Mr Wheeldon’s remarks. Mr Wheeldon apologised if his remarks were taken as an “implicit threat”. He said it was the company’s honest position that Sky’s customers “did not buy Sky to buy RTÉ”. RTÉ has asked the Government to amend the “must offer” part of the legislation that effectively prohibits it from charging operators for its main channels. It believes this could lead to about €30 million in annual funding. Sky Ireland managing director JD Buckley said RTÉ was an important partner for Sky, but that it wanted to grow its commercial relationship with the broadcaster “within the existing legislative framework”. RTÉ is able to negotiate payments for its on-demand services. Virgin Media Ireland chief executive Tony Hanway said there was “no cause or justification” to amend the legislation, as it would “lead to the enforcement of a tax by RTÉ” on pay-TV providers. The cost would be passed on to customers, he warned. RTÉ was also mistaken to believe that the change would yield “a large financial windfall” that could solve its budgetary difficulties, Mr Hanway said. A report commissioned by RTÉ “overstated the importance to our customers of having RTÉ within their Virgin Media bundle”. Eir chief executive Richard Moat said retransmission fees would have “a significantly detrimental impact” on the market and could “over time undermine the place of RTÉ” in Irish households. RTÉ’s head of platforms and partnerships Aisling McCabe earlier said there was “no justifiable reason” why “hugely profitable international media companies” like Sky and Virgin should receive Irish free-to-air channels and content for free. “RTÉ is simply looking for the ability to negotiate fair value for our content,” Ms McCabe said. TV3 could theoretically also charge retransmission fees if the legislation was amended, but its position is complicated by the fact that it is owned by Virgin Media. TV3 Group managing director Pat Kiely told the Oireachtas committee that the investment it received from Virgin to make programming and upgrade its infrastructure “would be absolutely impacted” if Virgin had to pay retransmission fees to RTÉ. He repeated his call for the deficit-recording RTÉ to “cut its cloth” and said no action should be taken “to artificially prop up inefficiencies” at the rival broadcaster. In the UK, ITV, Channel 4 and former BBC director-general Mark Thompson have all argued the case for the introduction of retransmission fees at various points. This has brought ITV into a potential conflict with its 9.9 per cent shareholder Liberty Global, the owner of Virgin Media. “Perhaps, if TV3 had a different owner they would express a different view,” Ms McCabe said. The risk that changing the legislation would result in channel “blackouts” was a “red herring”, she said, adding that it was “a concern” that platforms would raise the idea at this stage. RTÉ also rejects the idea that retransmission fees would constitute a “tax” on pay-TV companies. 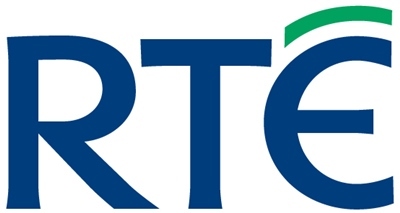 The “must offer” legislation has been the subject of frequent lobbying from both RTÉ and the pay-TV platforms in recent years. In July, RTÉ submitted a report by consultants Mediatique that suggested RTÉ should be able to charge “fair” sums of €11 million a year to Virgin and €19 million to Sky.